This Property has an abundance of Deer and Turkey with a Huge Pond with plenty good Fishing and Creek. Prime Pastures for Grazing Cattle and Hay. 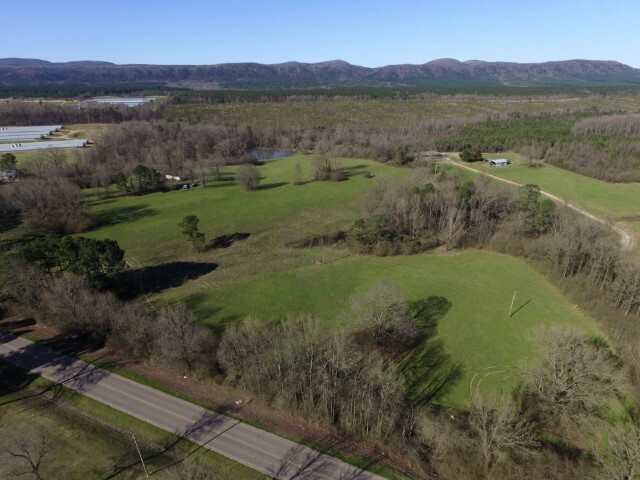 Outstanding Home Building Sites with breath taking views of the Ouachita Mountain Range and National Forest. Electric and City Water on the property. Selling Regardless of Price to the Highest Bidder on Auction Day! If you can’t make it to the live auction you may Pre-Bid Online prior to the Live on Location AUCTION. High online bid will start the live auction. Real Estate Terms for tract 1 & 2 If you are the winning bidder, $10,000.00 Per Tract down day of auction in certified funds (Cashier’s Check) or pre-approved check. Title insurance and warranty deed furnished at closing, closing within 30 days, 10% buyer premium. Announcements made day of sale take precedence over all advertising. Live Auction Real Estate Terms: $10,000.00 down day per tract day of auction in certified funds or approved check. Title insurance and warranty deed furnished at closing, closing within 30 days, 10% buyers premium. Announcements made day of sale take precedence over all advertising. $10,000 down per tract at the conclusion of Auction or next business day, 10% buyer premium. Highest Bid will convey to live auction.